If copyright is to succeed in promoting the creation and dissemination of culture, then it needs to address the diverse needs of creators, fans, and critics. 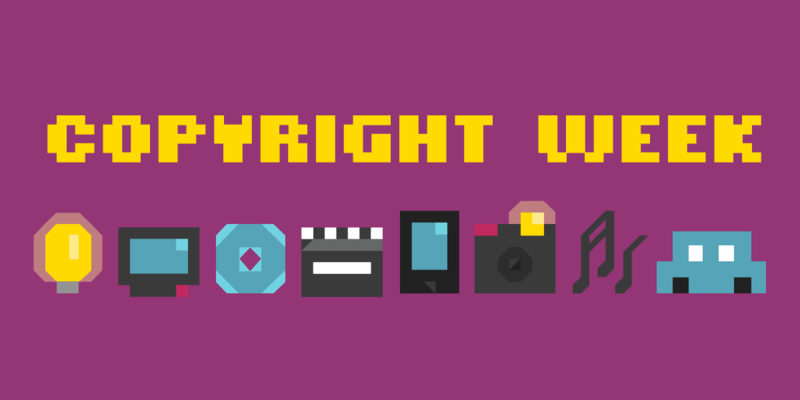 Copyright law achieves this in some jurisdictions through policies such as fair use, but more often than not it fails to address the concerns of anyone who isn't a copyright holder. Much of the blame for why copyright grows increasingly out of touch with how people experience culture lies with a lack of transparency in, and industry capture of, copyright policymaking. Nowhere is this problem more apparent than in international trade agreements. For years, the Motion Picture Association of America (MPAA), the Recording Industry Association of America (RIAA), and other copyright industry groups have taken advantage of trade venues to pass copyright rules that would not otherwise survive public scrutiny. Trade negotiations have historically been closed in order to allow negotiators to discuss import tariffs and other market barriers to the trade of goods without political interference. However, the scope of issues covered by these deals have broadened significantly over the years. They have come to include policies on copyright, data transfers, telecommunications, and more. Even as trade agreements now cover all kinds of digital regulations that can affect how lawmakers can set domestic policy, the negotiations have remained entirely closed off from the public. The most recent, glaring example of this is the Trans-Pacific Partnership (TPP) agreement. Only after more then seven years of negotiations was the official completed text of the trade agreement finally released for the public to see. Up to that point, only leaks revealed what was being discussed in the closed-door meetings. Meanwhile, Trade Advisory Committees, which consist of advisors for big corporations, had ample opportunity to view and comment on draft texts. When we dug into the text last November, we were able to confirm that the U.S. Trade Representative (USTR) was correct in claiming that the TPP would not obligate the U.S. to reform its current copyright rules. But that's also exactly what's wrong with the deal: It threatens to elevate the harshest elements of the United States' current copyright rules as an international standard, forcing other countries to enact more extreme copyright policies—and potentially preventing the U.S. from considering necessary reform in the future. This is how international plurilateral agreements and dozens of already-signed bilateral trade deals have come to contain the entertainment industry's wish list of copyright enforcement policies. The USTR could have at least published portions of the agreement as they were being considered, so that we could have accurately conveyed to the trade agency how the TPP's copyright rules could do much more harm than good. If the USTR had simply invited experts to explain the pitfalls of the U.S. Digital Millennium Copyright Act (DMCA), which has created so many unintended negative consequences for people's freedom of expression, access to knowledge, and digital security, would they have set these rules into the TPP? And yet despite our repeated calls to open up the text and enable public input into the process, the trade office stuck to their course and continued to give privileged access to a few influential industries. As you'd expect, that utterly skewed the agreement in these elite interests' favor. In the end, that meant that we had no choice but to do everything we could to stop the entire deal. On February 4, representatives from all twelve TPP countries will convene in New Zealand to sign the agreement. Once it's signed it still has to get through ratification to go into effect, and each country has its own process. The TPP will enter into force either 60 days after all original signatories ratify it or, if that doesn't happen within two years, in April 2018 if at least six of the 12 countries accounting for 85 percent of the combined gross domestic product of the original signatories have ratified the agreement. That's all to say that the fight isn't over. We can defeat the TPP if we can convince enough countries to reject it at this next stage. Making sure the U.S. Congress does not approve implementing legislation (aka ratification), will be key to stopping the momentum of the deal getting approved by the other TPP countries. That's why we're asking people based in the U.S. to get in touch with their congressional representatives and urge them to reject the TPP when it comes up for a vote, or to at least call for a hearing over the digital provisions that undermine the public interest and user rights. Meanwhile, EFF is looking to the bigger picture: assembling a meeting of experts from around the world who will meet in Brussels next week to craft concrete strategies to prevent the continued use of trade agreements to usurp democratic control over Internet-related rule making. Defeating the TPP is about preventing bad copyright rules from becoming further entrenched as an international standard. But it's also about sending a message to policymakers loud and clear: If they are ever going to be serious about creating innovation policy that works for all, they have to get serious about transparency and democratic rule making. If they don't, they're going to continue to meet public opposition against illegitimate rules that sacrifice culture and knowledge for all, in the name of protecting powerful incumbent industries.